* Please do not include sensitive personal details e.g. your date of birth or medical history etc. 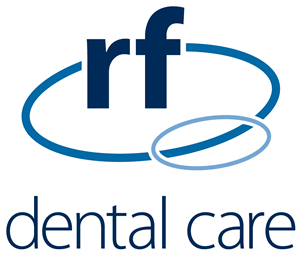 RF Dental Care is a long established and highly trusted dental practice situated in Harrogate, North Yorkshire. We aspire to provide dentistry in a relaxed and friendly environment for the whole family using the latest techniques and materials. There has been a dental practice at 12 Ripon Road for 50 years, so we have a long history of providing quality dental care to the people of Harrogate & surrounding areas. We can provide excellent dental care in a safe, positive and reassuring environment. We provide a wide range of dental care services and cosmetic treatments. Our team is made up of four locally based, experienced dental nurses and our two friendly and highly qualified dentists. Nick Ranns and Richard Frost have over 35 years experience in providing exacting dental care and great customer service. We take great pride in the quality of our care and want your visit to be relaxed and pleasant. Our aim is to maintain you and your family’s dental health and advise on how best to care for your ongoing dental needs. Prevention is the cornerstone of how we practice and we will always keep you informed on your ongoing dental health. We always welcome new patients and look forward to meeting you and forming a lasting professional relationship. New patients are always welcome to join the practice. Please contact us so we can schedule an initial examination appointment and discuss your individual dental needs. The practice is also registered with Denplan and we can offer care under this insurance scheme, if preferred. Many of our patients prefer Denplan as a fixed monthly fee will cover all your dental needs, including 24-hour worldwide emergency call outs. We also hold an NHS dental contract and are sometimes able to accept new adult patients for treatment under NHS arrangements. All our patients who are 18 years old and younger are presently treated within our NHS contract. I have been a patient for over 20 years and have always received excellent treatment. The staff are friendly and professional. I appreciate the little touches like appointment reminder calls. I would recommend the practice to anyone. Mr R - Wetherby. Industry standard dental insurance, regulations, trade union and charity foundation.